In order to meet the exact requirements of our clients we are offering them Goda Masala. It is used in various food items to prepare it. 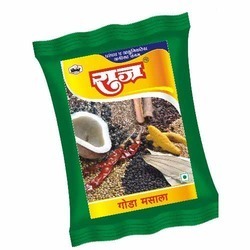 We are specialized in offering Goda Masala. Kamdhenu Pickles & Spices India Pvt. Ltd.
With the use of best grinding machine, experts prepare this Goda Masala in dust free environment. Moreover to this, these products are offered in the market in different packing sizes. Quality checked ingredients are used for making of this product. Besides this, we charge minimal price for this product. Bedekar Goda Masala is a typical Maharashtrian Brahmin style spice blend. It is useful for making day to day Subji, Dal. It is also useful for "Masalebhat "Undhiu", "Poha" etc. As a quality focused firm, we are engaged in offering a high quality range of Goda Masala. 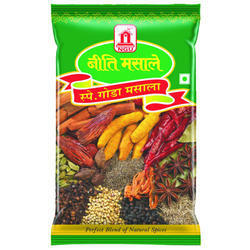 We are engaged in offering a quality approved range of Swamini Goda Masala. With years of practice of this area, we are offering an extensive series of Goda Masala. Goda Masala is best for 'Masala Rice'(Masala Bhat), Sweet-Sour Curry. Made from organic spices very rich in aroma, great taste.